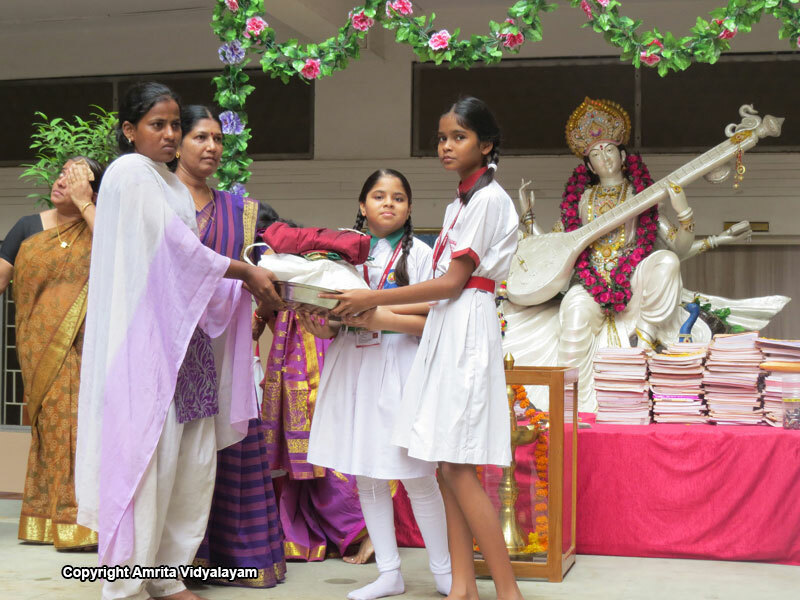 The only way to please Maa Durga, Lakshmi and Saraswathi is to offer our help to the needy. 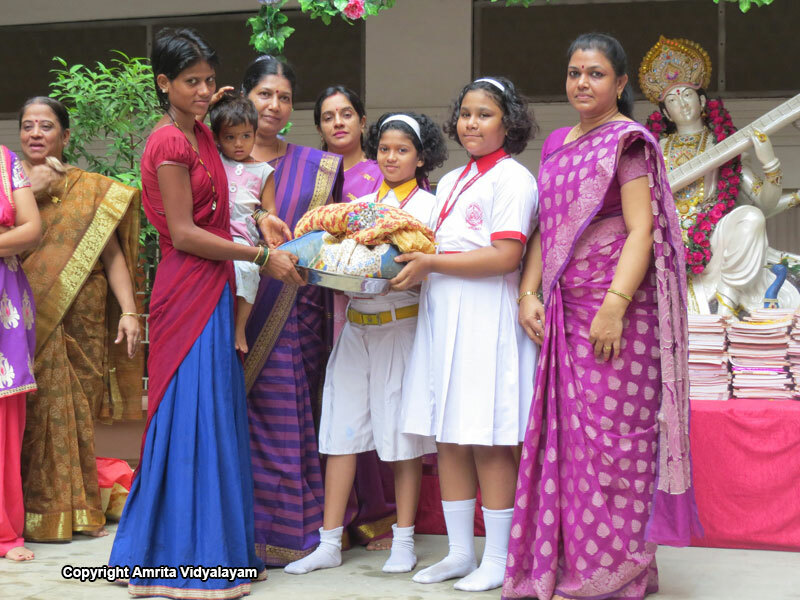 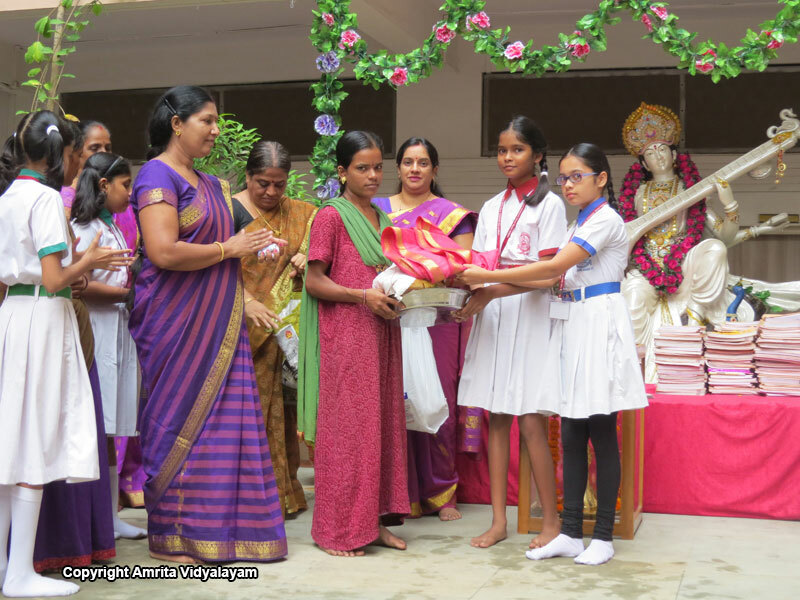 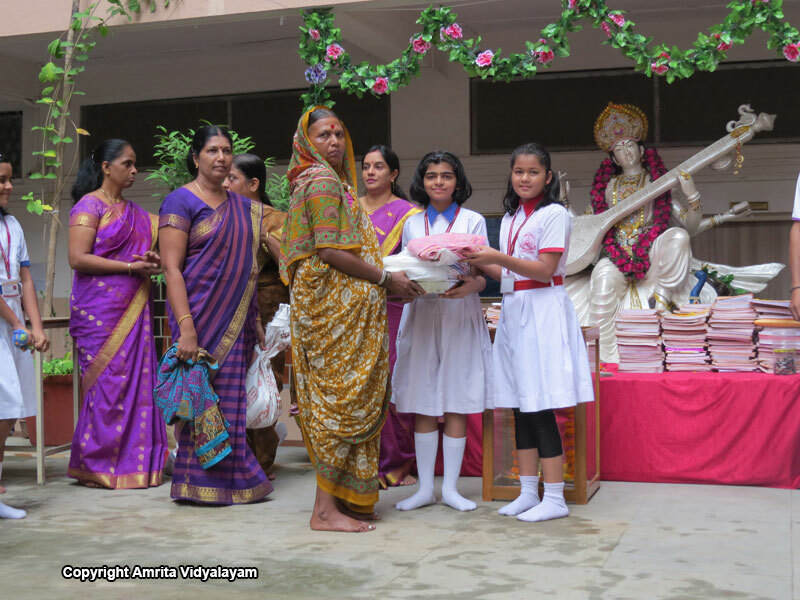 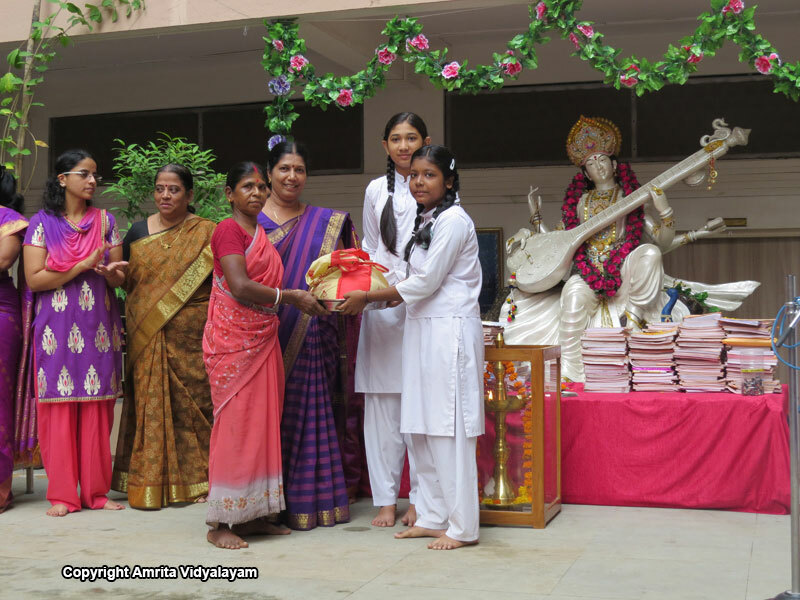 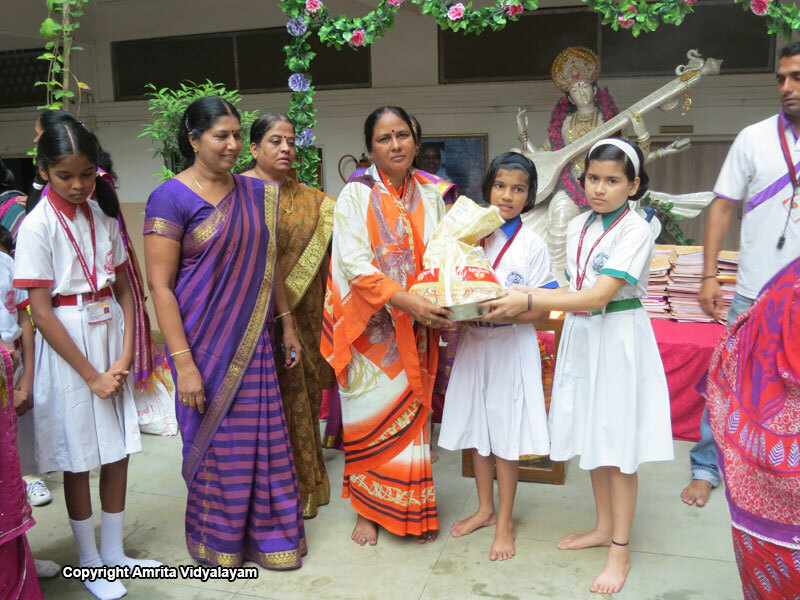 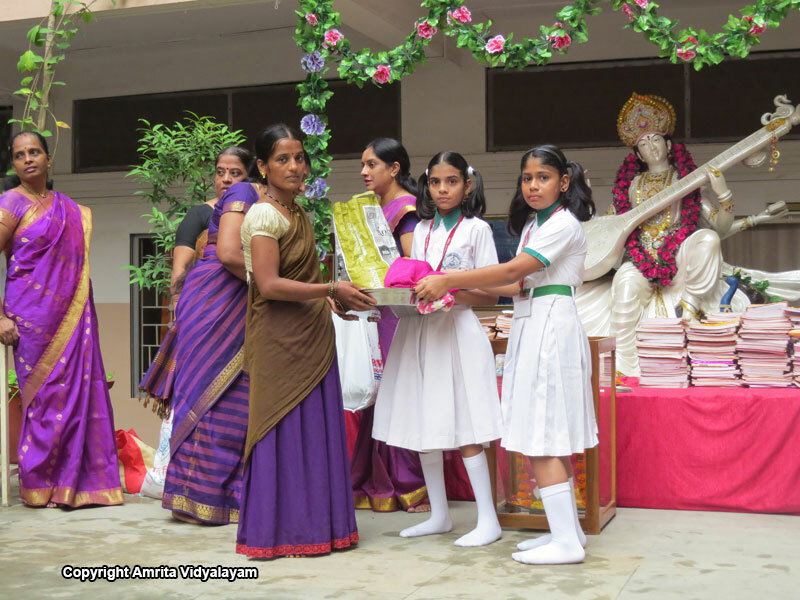 Amrita Vidyalayam students did just the same on auspicious Navami when members of the nearby adopted slum families were invited to the school. 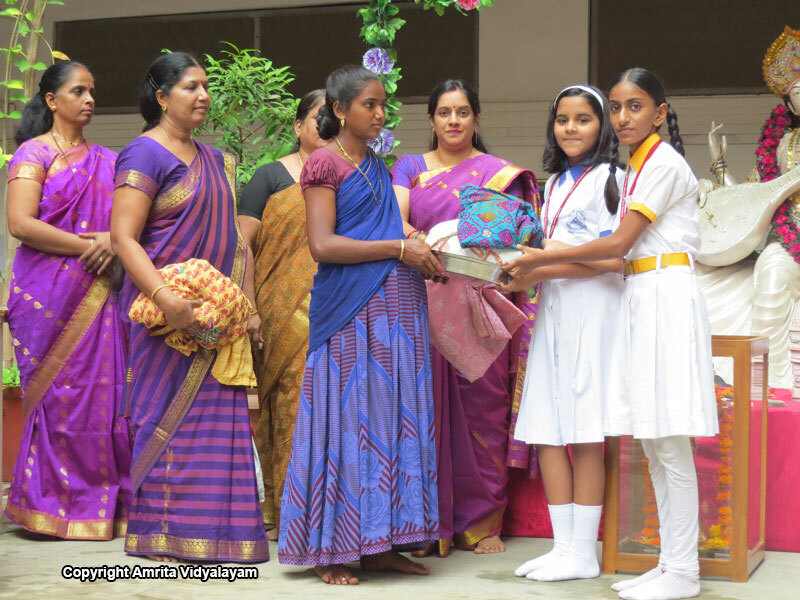 The students handed over rice, pulses and clothes which were so lovingly brought by them week after week as part of Sevamritam.